This thread will be for discussing issues related to the immune system and Cytokine Storm. There are many people that are trying to boost their immune systems, which is a big mistake. We need to educate the public regarding this matter. If anyone has any information pertaining to the "cytokine storm", please share it. Refering to a recnt study on the Avian flu (H5N1), Michael T Osterholm, director of the Center for Infectious Disease Research and Policy at the University of Minnesota School of Public Health states "This study confirms earlier work that H5N1 induces a cytokine 'storm,'" said "It helps us understand the pathophysiology of the disease." April, do you have anything regarding experimental therapies used to prevent/cure the cytokine storm? Yes, What a cytokines storm does to the body is essentially creates an absorbent amount of TNF alpha production, which results in the body having an over stimulated immune system. Cytokines are soluble hormone-like proteins that signal cell to cell. 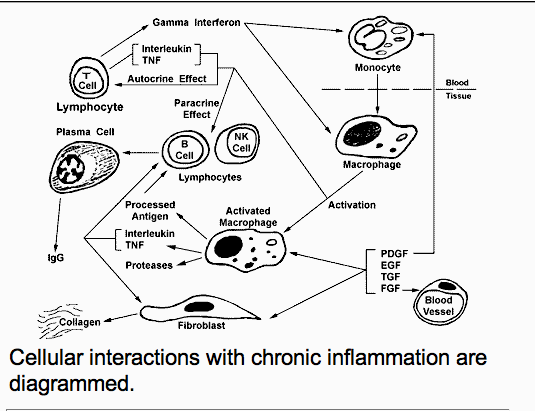 This situation causes the body to have a very negative anti-inflammatory reaction. Source: Planta Med. 1998; 64(4):353-356. The medicinal properties of curcurnin obtained from Curcuma longa L. cannot be utilized because of poor bioavailability due to its rapid metabolism in the liver and intestinal wall. In this study, the effect of combining piperine, a known inhibitor of hepatic and intestinal glucuronidation, was evaluated on the bioavailability of curcumin in rats and healthy human volunteers. When curcumin was given alone, in the dose 2 g/kg to rats, moderate serum concentrations were achieved over a period of 4 h. Concomitant administration of piperine 20 mg/kg increased the serum concentration of curcumin for a short period of 1-2 h post drug. Time to maximum was significantly increased (P < 0.02) while elimination half life and clearance significantly decreased (P < 0.02), and the bioavailability was increased by 154%. On the other hand in humans after a dose of 2 g curcumin alone, serum levels were either undetectable or very low. Concomitant administration of piperine 20 mg produced much higher concentrations from 0.25 to 1 h post drug (P < 0.01 at 0.25 and 0.5 h; P < 0.001 at 1 h), the increase in bioavailability was 2000%. The study shows that in the dosages used, piperine enhances the serum concentration, extent of absorption and bioavailability of curcumin in both rats and humans with no adverse effects. Corticosteroids like prednisone lower TNF, but they also lower resistance to many diseases. Corticosteroids are a prime weapon against the SARS virus (another disease where over-reaction of the immune system seems to do as much damage as the virus itself). The amount of corticosteroids administered is important. Following the recent SARS outbreak, many people in China were given excessive doses of corticosteroids and later developed serious complications. There has been little discussion on the use of these steroids to blunt the cytokine storm seen in avian flu. There has been much talk about Tamiflu and the possibility that it can curb the reproduction of the H5N1 virus. Tamiflu works by inhibiting an enzyme called neuraminidase (aka sialidase). This enzyme is used by many virus particles to attach to cells and invade them. When a neuraminidase inhibitor like Tamiflu is administered, it can reduce the spread of Type A influenza in the population. It can also shorten the duration and intensity of Type A influenza if administered in the first 48 hours after symptoms appear (it typically reduces a 5-7 day influenza episode by 1 to 2 days). The strategic use of neuraminidase inhibitors can probably help keep a lid on small outbreaks of the virus. But if a larger epidemic occurs, supplies will probably run short. Viruses have demonstrated the ability to mutate and become resistant to Tamiflu, which could be a problem over time. I generally use loose skullcap herb to make tea, although there are extracts and capsules available, like these from Nature's Way . Other hydroxy-flavones are found in plants like Passiflora incarnata (passionflower herb - but not passionflower fruit, Passiflora edulis). It is not clear whether these flavones also inhibit neuraminidases or influenza viruses (or the H5N1 virus in particular). However, both scutellaria and passionflower are also mild tranquilizers (the methoxy-flavone compounds also have a gentle GABAinergic effect and are used by herbalists for anxiety). These teas have a long history of safe use (on par with chamomile and hibiscus), so it seems logical to first prepare for a possible avian flu epidemic, and stay home and consume relaxing herbs if the epidemic does arrive. A study to find herbal neuraminidase inhibitors discovered that Reynoutria elliptica extract was a strong inhibitor of that enzyme. The research identified four compounds with significant neuraminidase inhibiting properties: emodin, two emodin derrivatives, and resveratrol. Emodin and related compounds are also found in the Aloe vera plant. Unfortunately, emodin is an anthraquinone laxative; taking it orally has significant side effects. Emodin is a cathartic known to stimulate muscle contraction in the intestines, and a large dose can result in painful cramping. It is not clear how much is absorbed into the blood where it can fight a virus. The studies done on the anti-viral properties of emodin were done in cells in a test tube, not in live animals. Many Aloe vera juices on the market are made using only the gel of the plant; they contain very little emodin. The outer part of an aloe leaf contains most of the emodin - it is in the milky sap portion close to the surface. The aloe vera juices on the market do contain polysaccharides like acemannan that stimulate the immune system to produce IL-1 and TNF, but those inflammatory cytokines are not in short supply in people infected by H5N1 avian flu. Most of the research conducted on acemannan have involved HIV/AIDS, or related animal viruses like feline leukemia virus. It is not clear that aloe polysaccharides protect against influenza viruses in general, or the H5N1 virus in particular. Resveratrol is a compound found in large amounts in red wine, grape seeds, and Japanese knotweed. Resveratrol is known to be absorbed into the blood, and it is believed to be part of the "French Paradox" where many people in France eat a high fat diet, yet have low rates of heart disease. The root of Japanese knotweed (Polygonum multiflorum aka "He Sho Wu") is the richest known source of resveratrol. It has long been used in a variety of herbal medicines in China and Japan, where it is considered a tonic and life prolonging plant. This plant has spread to many other countries and is naturalized in the US and parts of Europe. In addition to inhibiting neuraminidase, resveratrol also sends a message to cells to stop manufacturing viruses. This was described in terms of blocking the "nuclear-cytoplasmic translocation of viral ribonucleoproteins" and reducing the "expression of late viral proteins seemingly related to the inhibition of protein kinase C activity and its dependent pathway." PMID:15838800 This study found no toxic effects of resveratrol at levels that significantly inhibited influenza virus. Resveratrol Supplements are relatively innexpensive, more stable than wine, and lack the alcohol content that might be harmful while fighting a serious infection. This research is exciting, but some caveats deserve consideration. The study was done on isolated cells in a petri dish, not in living animals. It is not clear how much (if any) of the cranberry NDM would be absorbed into the blood, or how long it would circulate in the blood before being metabolized or excreted. Most of the anti-bacterial research on cranberry juice has focused on low molecular weight compounds that block bacteria from adhering to cells in the urinary tract - these clearly are absorbed. Most of the research on the NDM material in cranberry juice focused on the mouth, where absorption was never an issue. NAC led to a modest reduction in the cytokine RANTES (18%), probably by reducing reactive oxygen species that were generated by the inflammatory cascade. PMID:10706714 NAC also reduced macrophage death due to influenza infection. PMID: 9260892 It does not appear to directly inhibit TNF. NAC is a hygroscopic material - it soaks up water from the air. Like aspirin, it can break down and release acetic acid, resulting in a vinegary smell. It should be stored in a cool, dry area in a well sealed container. There is evidence that black elderberry extract (trade name: Sambucol) can reduce the risk of contracting ordinary influenza strains, or shorten the course of disease in those who contract the typical flu. It does so by increasing the production of inflammatory cytokines like IL-1, IL-6, and TNF! (citation) While black elderberry extract be appropriate for ordinary Type A influenza, it could make avian flu more lethal. Ordinary strains of flu do not trigger massive production of TNF, and ordinary flu viruses are generally susceptible to the action of TNF. Avian flu, by contrast, does trigger massive production of TNF, while the virus is relatively resistant to the anti-viral effects of TNF. If TNF is a significant cause of the illness and mortality in avian flu, anything that increases TNF would be undesirable. Sorry. While most recent research on has suggested that chocolate has health benefits, the TNF stimulating effects of the cocoa flavonoids does not look like it would be healthy for people infected with avian flu virus. PMID:12885154,PMID:10917928 The flavonoid compounds in chocolate can be compared to beads and short chains of beads; although the individual beads had a slight cooling effect on the immune system, the more numerous chains of 5 to 10 flavonoid groups dramatically increased the production of inflammatory cytokines. While the researchers suggested that this may be beneficial for stimulating circulation or fighting bacterial infection, I believe it may not be good for someone in a severe cytokine storm. There are many other compounds that modulate the immune system and which may be of benefit in treating avian flu: a few include melatonin, garlic, green tea, and ginger. This paper will be expanded to include discussion of these over the next weeks. If the H5N1 avian flu was spreading in my community and my doctor offered me a pharmaceutical TNF blocker and a neuramidase inhibitor, I would take them. But it is doubtful that everyone will have that choice if an epidemic does occur. Although the pharmaceutical agents have not been well tested, and the potential herbal treatments I discussed are based on theory, I think that it is likely that they would reduce mortality ... taking them would be better than doing nothing. So I have a bottle of curcumin (which I occasionally take to keep my psoriasis in remission) and a container of scutellaria tea (which I sip at work to keep my nerves from frazzling when there are too many deadlines). And I am ordering some resveratrol. Hope that this helps, I will gather more info and post later. I originally invested a lot of money into immune system boosters until I learned about this. I heard that statin drugs such as Lipitor (cholesterol medicine) may also be affective for preventing the cytokine storm. Other natural experimental remedies are Curcumin and Inosine. As a substance, red yeast rice extract has a number of heart-healthy benefits: It seems to help reduce total cholesterol levels, lower levels of LDL ("bad") cholesterol, increase levels of HDL ("good") cholesterol, and lower levels of unhealthy fats called triglycerides. It appears to accomplish this by restricting the liver's production of cholesterol. The compound responsible for this effect--mevinolin--is chemically identical to the cholesterol-lowering compound lovastatin, which is sold as the prescription drug Mevacor. Hence the action by the FDA. Mevinolin is also similar to the active ingredients in other cholesterol medications such as Zocor (simvastatin) and Lipitor (atorvastatin). Unsaturated fatty acids in red yeast rice extract are also believed to be beneficial, possibly by lowering triglycerides. This is what a friend who is well known Doctor who wishes to remain anonymous wrote to me. The problem seems to arise from the action of some immune cells also signal further immune system response. Hence, as more cytokines and other immune cells enter the lungs, they signal for further activity of the immune system, which creates something of an endless loop to the point at which the immune system is causing more harm than the initial triggering event, such as infection. This tends to be a problem among those with the healthiest immune systems. If your immune system doesn�t function well enough with signalling and up-regulating, it can�t develop this type of response. Hence the very young and the elderly are less likely to face this problem. That is why 1918 saw a massive unproportionate death rate among 20-40 year olds. This is the group that generally has the strongest immune systems. Generally, this entire process causes inflammation in the lungs. It�s really not much different that the inflammation you see when you cut yourself. The problem is that when you have this type of response in the lungs, they become so bogged down with fluid that the alveoli (the air sacs in the lungs) lose some of their capacity to bring in air to allow for the passage of oxygen into the capillaries. In essence, you drown very slowly. I don�t think it would be a pleasant way to go at all. To give you an example, this is an excerpt from a letter written by a physician at Camp Devens (near Boston) in 1918. It was discovered among some other medical papers in a trunk in an attic in Detroit in 1959. A cytokine storm is just one way to develop what is referred to as acute respiratory distress syndrome (ARDS). Even today with our high tech ICU care, the mortality rate from developing something like is around 40-60%. In 1918 is would have been very close to 100%. However, even though we have the technology today, we don�t have the capacity. Even if we did have enough ventilators, we wouldn�t have enough staff to run them and provide care if we had an event of the scale of 1918. I was just interviewed by a reporter from the NY Times this week about this issue. As a note the side effects of a Cytokine storm is what will kill you. The failing defense mechanism, particularly low levels of lung protomorphogen (determinant factor) which allows such drastic inflammation which leads to bleeding, clotting, DIC etc.. The jury is still out on the use of immunostimulants on mature immune systems over 40-years of age. I would suggest for those under 40-years of age to avoid anything that would stimulate cytokines. Personally I have enough Sambucol for my wife, as a first response to infection, I'm still evaluating the options for my son. KillerFlu and Rick - Thanks for the excellent information. I'd like to expand on it with the symptoms of Human H5N1. High Fever (101+), Chills, Headache, Muscle Aches, Dizziness, Fatigue, Cough (severe), Sore Throat, Runny Nose, Ear Infection, Bloody Diarrhea. Nose Bleeds, Bloody Gums, Blood Tinted Sputum (copious), Chest Congestion, Difficulty Breathing, Pneumonia (viral and bacterial), Respiratory Failure, Multi-Organ Failure. The fatality rate is currently 55% even with Intensive Care Unit treatment. The time from first symptom to death is 7-10 days. If the patient survives, they should be isolated from non-sick people for 2-3 weeks after symptoms disappear. The patient should be treated as contageous and care-givers should use isolation techniques and wear appropritate protective clothing. Also, Universal Precautions (avoiding bodily fluids) should be practiced. This will be difficult since the patient will be expelling fluids from every orifice. Preppers should become familiar with the above since medical facilities will be over-capacity with patients and about 50% of the medical staff will be away sick or caring for family members. re: prednisone, that's good to know. you can get it if you tell your doc that you get a bad reaction to poison oak. i think i'll try that. i've gotten it before for that reason. just tell them you're going hiking. Science News (print edition, April 23, 2005) has an interesting piece about work presented earlier this month at the Experimental Biology meeting in San Diego by Melinda Beck and her colleagues at University of North Carolina Chapel Hill. Noticing in a recent trial that heavy people didn't derived less protection from influenza vaccine, Beck and her colleagues fed 70 female mice a normal diet and 70 an especially fattening diet for 22 weeks. They then infected each group with influenza virus. The disease was much milder in the mice fed a normal diet with mortality only 4%, but disease was severe in the obese mice with 40% mortality. Beck says the obese mice took longer to develop a cytokine response and their natural killer cells were only half as effective at eliminating infected cells. so this might be a good time to go on that diet. Beck says the obese mice took longer to develop a cytokine response and their natural killer cells were only half as effective at eliminating infected cells. what does this means that I should get fat? Well...it's kinda ambiguous...on the one hand, the mice that got fat died more, on the other hand, they didn't have a good cytokine response. The way I figure it, with the plain old flu, you need those cytokines or the flu might kill you...with the AF, you really want your body to respond just a little more slowly....so, uhm, yea....I'm gonna fatten myself like a goose...uh...pun intended. available to the front-line medical corps in 1918. -- Michael T. Osterholm, Ph.D., M.P.H.